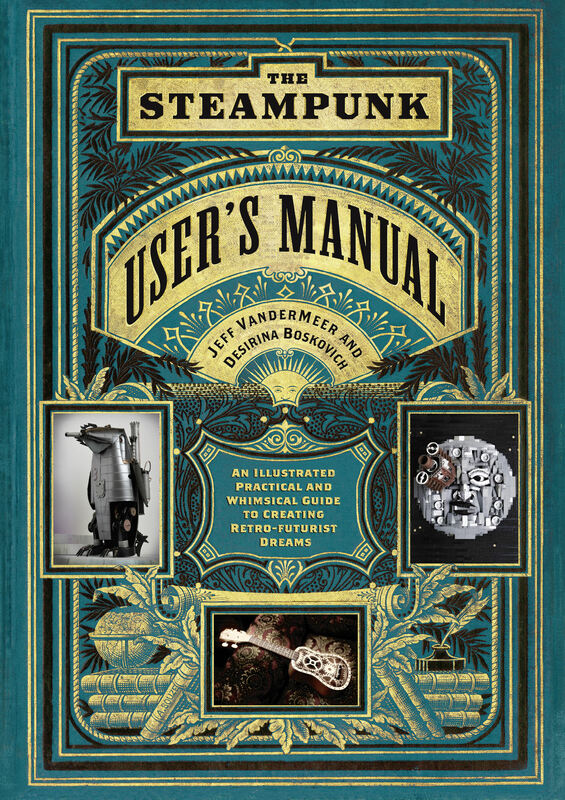 Here’s the cover (designed by Galen Smith) and synopsis for the beautiful and upcoming steampunk book The Steampunk User’s Manual: An Illustrated Practical and Whimsical Guide to Creating Retro-futurist Dreams by Jeff VanderMeer and Desirina Boskovich, coming out in October 2014. Here’s a larger version…or check out the OMIGOD, I CAN’T BELIEVE HOW HUGE THIS IMAGE IS! version!